NSPE is deeply concerned about the recent duck boat accident in Branson, Missouri. NSPE’s condolences go out to the victims’ families and all touched by this tragic incident. Records show that the boat was designed by an entrepreneur with no prior engineering training, according to news reports. With Congress looking at steps to tackle excessive licensing burdens, the House and Senate passed the Strengthening Career and Technical Education for the 21st Century Act (H.R. 2353). 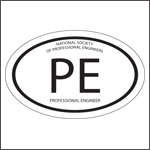 Over the past year, NSPE kept the professional engineer front-and-center as the only national organization dedicated to serving PEs. Along with its strong network of state societies and local chapters, the Society carried out its mission of protecting and enhancing the value of licensure by standing up to a growing number of threats to the PE. What Constitutes Unprofessional Engineering Practice? State engineering licensing laws require or authorize licensing boards, or other state authorities, to discipline licensed and unlicensed engineers when they take actions that constitute unprofessional behavior or conduct. These actions include negligence, signing or sealing plans not prepared by the licensee, and other violations. In the face of rumors that the AV START Act will be attached to the Federal Aviation Administration Reauthorization Act, NSPE has signed onto a letter by the Advocates for Highway and Auto Safety opposing attaching the AV START Act to an unrelated bill. In a victory for professional engineers, a Nevada legislative subcommittee has recommended no consolidation nor any other statutory changes to the Nevada State Board of Professional Engineers and Land Surveyors. NSPE and the American Council of Engineering Companies submitted testimony to members of the House Subcommittee on Higher Education and Workforce Development as it investigates the prevalence of occupational licensing, its effects on economic growth and upward mobility, and what is being done to address those and other issues within states and across state boundaries. In a victory for professional engineers, a Louisiana bill (H.B. 748) was stripped of a provision that would prohibit the use of most professional certifications or accreditations within the state and a provision that presumes that market competition is sufficient to protect consumers. In coordination with the Ohio Society of Professional Engineers, NSPE is fighting Ohio S.B. 255, which could undermine and potentially eliminate engineering licensure in the state. The legislation sets forth a new policy allowing the state to use the least restrictive regulation to protect consumers from present, significant, and substantiated harms that threaten public health and safety.